Late last night, The Windows Mobile team made the Windows Mobile 6.5 Developer Tool Kit available, which is not a standalone Software Development Kit, but an add-on component for the Windows Mobile 6 SDK. 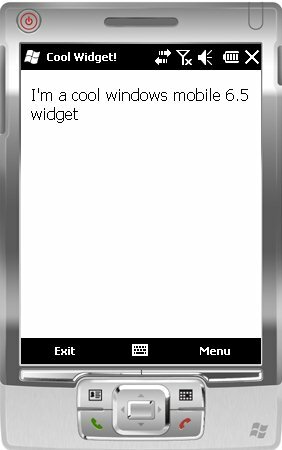 With the emulator images provided in the Toolkit, developer and consultant Nikita Polyakov has provided the first review of Windows Mobile 6.5 Standard (a.k.a. the non-touch version) which is expected to be available as an upgrade on the Samsung Jack. 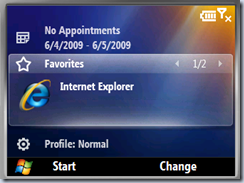 In these emulated images, Bing Mobile is the default search, and there is a desktop app leading to the Windows Mobile Marketplace, which still leads to a placeholding site.